Obituary for Danny Rhodes | Grays Funeral Chapel LTD. It is with great sadness that the family of Danny Rhodes announce his passing on January 28, 2019, in Prince Albert, SK. at the age of 65. Danny was born June 2, 1953, in Nipawin, SK to Howard and Mabel Rhodes of Aylsham, SK. Danny came to Prince Albert with his parents in 1959 where he attended the Kinsmen School for the Handicapped. In 1962 he transferred to Moose Jaw Training School. He later returned to Prince Albert where he has been with KIN Enterprises until the time of his passing. In 2018 Danny received recognition of 45 years of service with KIN. Danny’s #1 favorite was Elvis, singing, dancing and playing anything Elvis. Danny also loved strumming a guitar and banjo. He loved being involved in dancing, sports, camping, swimming, wrestling and loved all family activities with all ages. He was famous for his belly laughs. Danny will be missed and lovingly remembered by brother Harry (Pat), sisters: Dorthy Thesen and Maryann Henricks; sisters-in-law: Bertha and Hazel, numerous nieces, nephews, great and great-great nieces and nephews. As well as all who knew and loved him. Danny was predeceased by his parents Howard and Mabel, sister Thelma, brothers Ted and Raymond; brothers-in-law: August Henricks and Norman Thesen. And other extended family. 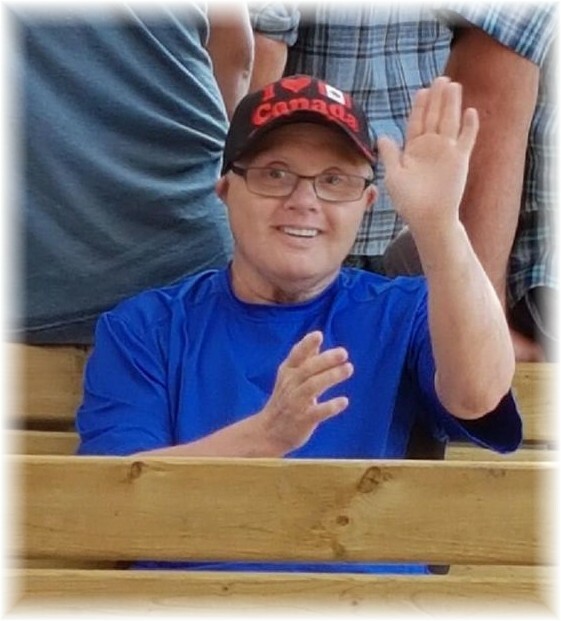 A Celebration of Danny’s life will take place on Friday, February 1, 2019, at 11:00 a.m. at SAGE, 3041 Sherman Drive, Prince Albert, SK with Major Harvey Compton Officiating. Interment to take place at a later date in Nipawin, SK.